Ecosocialist ideas DO gain support for the Green Party! 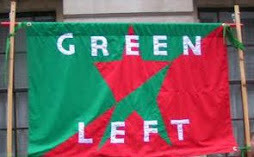 Green Left members are proud of our role from the very top of the party to local parties in promoting an ecosocialist way forward for our party. It was clear to us many years ago that the Green Party could not hope to fully engage with ordinary people without a clear commitment to economic and social justice including direct support for workers And communities in struggle, as well as pursuing its ecological agenda. Green Left also supports moves by many in the party to ensure that all elected representatives are fully accountable to local members in recognition that democracy is a core value of our great ethical party. As Watermelon goes to print it is unclear how much room for manoeuvre the new Greek government has in its dealings with other Eurozone governments, who imposed the harshest version on Greece of the austerity being dished out across Europe, in order to bailout their own banks. The conditions that Syriza has had to sign up to appear to be similar to those that led to the previous government’s downfall. The Greek people, led by Syriza, are in the frontline of the battle against austerity, and deserve our support. Swept to power on a wave of hope, with the collapse in support for the grey parties (for the fraudulent ‘ socialists’ in particular!) Syriza provide an alternative to the message of fear being spewed out by Golden Dawn, the Greek Nazis. The new government is being subjected to enormous pressure by Europe’s financiers, and the governments that do their bidding, whose essential message is that ‘ There is no alternative’. 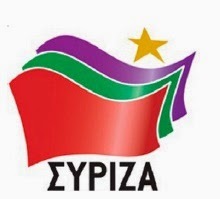 Syriza in Greece like the Green Party here are saying, on the contrary, that there is an alternative to austerity and that the price for the failures of international capitalism should no longer be paid by Europe’s poorest and most disadvantaged. Speaking to parliament after his stunning election victory Alexis Tsipras declared that, “the Greek people gave a strong and clear mandate to immediately end austerity and change policies”. The economic ‘model’ in the UK, Europe and across the planet, based on unsustainable debt and rampant inequality, is broken. An alternative can and needs to be built based on a recognition of the finite nature of the earth’s resources and of the fact that sustainable and truly prosperous societies have to be more equal as well as more carbon light. Governments need to act in the interests of the 99% rather than the 1%. In the meantime we must stand alongside the people of Greece, and their brave new leaders. We agree with the GPEW’s newly elected MEP Molly Scot Cato who, on a recent BBC Any Questions panel, was asked to summarise her political beliefs in a few words. “Liberty, equality and solidarity” she said. The Greek people need our Solidarity now, in their fight for Liberty and Equality, which is a fight for us all. Peter Pinkney president of the Rail and Maritime Transport union is standing for the Green Party in Redcar and Cleveland. 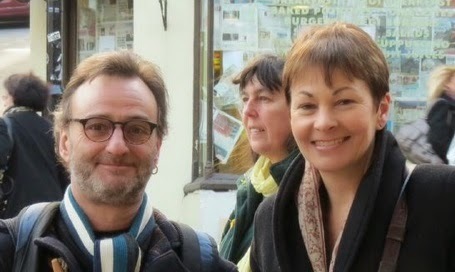 Peter joined the Greens last year after a meeting with GP National Trade Union Liaison Officer, Romayne Phoenix. Peter’s reasons include the Greens’ commitments to renationalise railways, to invest in the NHS and education, to build social housing, increase taxes for those who can afford it, and progressive policies on immigration. Peter is disappointed by Labour’s failure to offer real opposition to austerity policies, in essence offering a slightly watered down version of Conservative economics; he sees them as a sort of reddish Conservative Party. Peter’s candidacy reflects a growing awareness of the similarity of the majority of the aims of Green politics and the labour movement. The RMT have been attending GP conferences since 2004, recently joined by the NUT and the PCS; and the union backed Campaign For 1 Million Climate Jobs matches Green thinking on investing in a carbon neutral society. The growing involvement with the labour movement is very important Trade unions represent over 6 million working people, and indirectly represent millions more. Though not perfect (no human institution is), they are the largest set of democratic organizations in the UK. Trade union campaigns for the living wage, for social housing, for renationalisation, and against discrimination match many of Green core aims and involvement of unions is es­sential for transition to a carbon neutral society to be accomplished in a just and equitable manner. Still the Enemy Within provides an insight into one of history’s most dramatic events: the 1984-85 British Miners’ Strike. Thirty years on the events are recalled by those who lived through Britain’s longest strike. In 1984, a Conservative Government under Prime Minister Margaret Thatcher declared war on Britain’s unions, taking on the strongest in the country, the National Union of Mineworkers. Against all the forces the government could throw at them, 160 000 coal miners took up the fight and became part of a battle that epitomised class war in the U.K. Still the Enemy Within tells the story of a group of miners and supporters who were on the frontline of the strike for an entire year. These were people that Margaret Thatcher labelled ‘the Enemy Within’. Many of them have never spoken on camera before. Using interviews and a wealth of rare and never before seen archive, the film draws together personal expe­riences –tragic, funny or terrifying – to take the audience on an emotional journey through the events of that year. We are bound to reflect on the tactics used by the Government, the miners, other unions and the Labour Party. Before the miners were provoked into calling a strike they were paid overtime to stockpile coal, the miners refused to hold a national ballot, the Nottingham miners refused to support the strike, the TUC offered financial help but no industrial action. The Labour Party under Neil Kinnock stayed out of the dispute. The miners were isolated and eventually defeated. From the infamous Battle of Orgreave, where miners found themselves in a brutal con­frontation with over five thousand police, to the hardship endured after almost a year on strike – their story is not just one of personal drama but one that shaped the world we live in today. The Police tactics used at Orgreave have been experienced over again by people attending many demonstrations and public protests – ‘kettling’ protesters and using excessive force against unarmed and unprotected individuals. 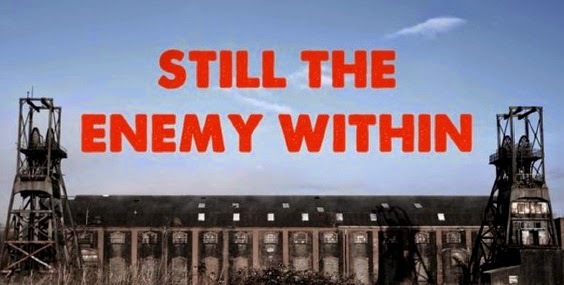 Still the Enemy Within is ultimately a story about ordinary people standing up for what they believe in. It challenges us to look again at our past so that in the words of one miner, “we can still seek to do something about the future”. The Filmmakers Director &; Producer – Owen Gower, Producer – Sinead Kirwan, Producer – Mark Lacey. Picture me with my poppy red. Picture me as I honour the dead. Picture me and my patriotic adore. Picture me as I barter in war. the blood of our forefathers up for sale. an illusive symbol assisting ecomonic gain. is a poppy of love and not of spite. Picture me with my poppy white.